Favorite Sports/Activities/Pastime: Going to the beach in OB and running around getting dogs to chase me. 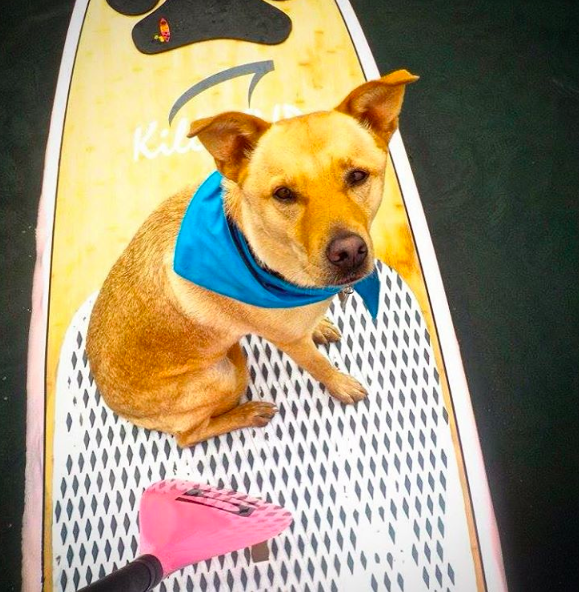 (No one can catch me....I'm way to fast) Chasing squirrels at work (The SUP Connection in Liberty Station), Hiking in the mountains, Going to Sunset Cliffs and playing in the tide pools and of course Stand Up Paddle Boarding as the Instructor of SUP Pups San Diego! Pet Peeves: Sitting inside all day. 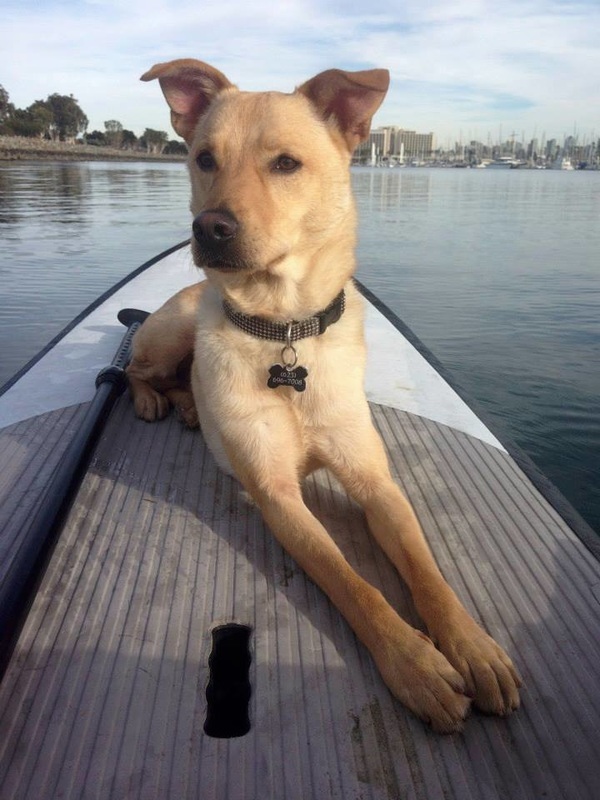 JACK's Story: I am a 6 year old Lab/ Dingo Mix from Arizona. My mom found me on Craigslist after someone found me on the side of the road, all beaten up and very skinny. The nice family took me in and brought me back to life, they had to move, so they ended up advertising me on Craigslist and that is when Sam found me! She took me in and finally gave me a HOME! 2 years later, we moved to San Diego together after Sam graduated College and began to live the DREAM! She took me to OB Dog beach every other day so I could become comfortable with other dogs and people. 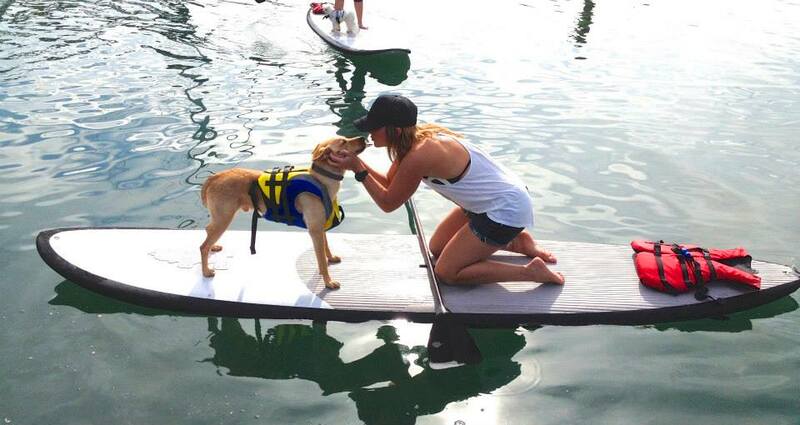 Then she taught me how to Stand Up Paddle Board and I FELL IN LOVE!!! 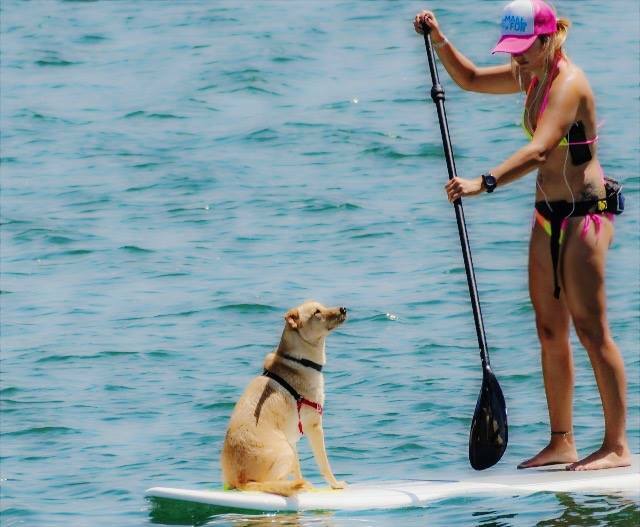 Now we run our own program hosted by The SUP Connection called SUP Pups San Diego where we teach other owners how to SUP with their dogs! I love coming everyday to work with mom, meeting new people & Pups! I truly live the ultimate dream now! 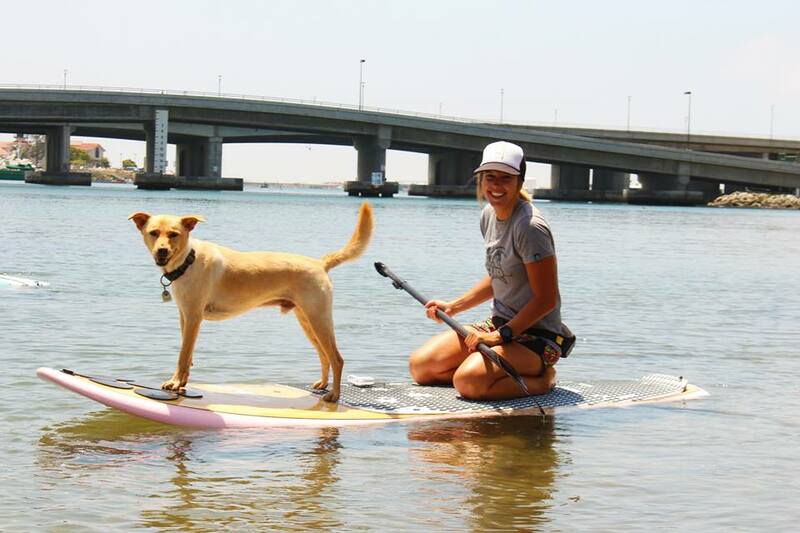 Other Stuff: You can find me on Instagram "The Aventures of Jack" as well as SUP Pups San Diego! You can also find us on Facebook! 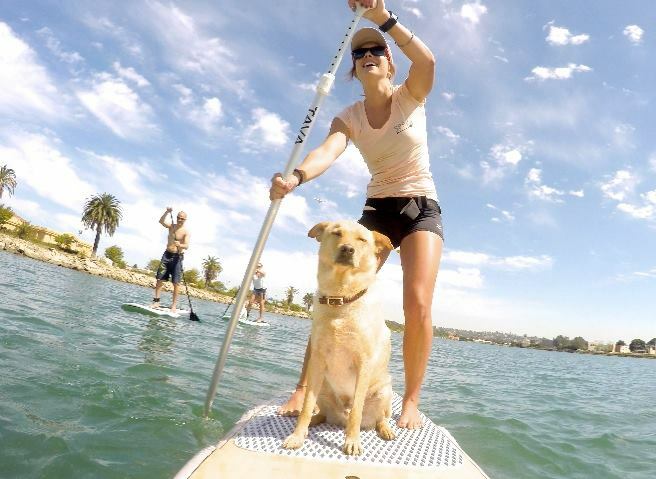 SUP Pups Paddle Boarding San Diego!